"12/7/12 UPDATE: meet date is Dec 7-9, SMB Fish Creek campsite, Anza Borrego. If theres any sign of rain on Thursday night the alternate is Little Blair in Blair Valley. Stop by or call the Visitor Center for more info. We will be on CB channel 4. Pm me and I'll give you my cell. Ill be there Sat-Sun. Starting point is at Split Mountain Road exit off CA78. 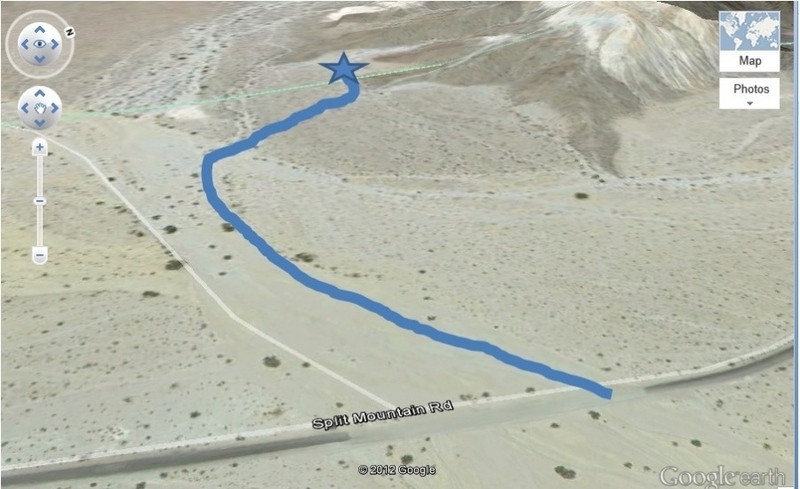 Head about 8 miles south of Ocotillo Wells OHV Area, then turn right (west/southwest) as soon as you come upon Fish Creek and begin driving the sandy Fish Creek dry bed trail, about 1/4 mile from the turn off there is a small sign on the right side. Follow the road up and stay to the left. You can fit a bunch (20+) of SMB's in this area. FYI - it lacks campsite amenities, however, I was told that it has rock arrangements from past campers for a fire ring. Ill bring a few bundles of wood. It would be great if everyone brought some wood too. Talking with a lot of you that met up at Gorman last weekend it sounded like there was high interest in another meet up before year end. That last meet was such a success and was so fun most of us were excited to do it again. Me and the family are available for camping/meet up Dec 7-9. How's everyone's schedule that weekend? Open to ideas for location. Ideally a group camp area to accommodate parking all our rigs in one big circle or nearby each other, large fire ring and tables would be nice too. Plenty of notice seeing that its 2-months out. Joshua Tree, Anza Borrego, Mojave, some place closer to LA...? I am game I just need to know for sure about the weekend. I need to go to NY either that weekend or the next so I need to get a flight within a few weeks. I'd probably be in. I recommend Mojave Preserve. Very easy to get to. Empty Hole in the Wall Campground in the winter. I've been there several times and been the only one there. Also plenty of boondocking spots, but people probably want the restrooms. Alright, sounds like there's some traction. Steve W, hope you'll have your FORD! 4X4 by then. I'm sure that all the mrs would appreciate at least a porta potty at the campsite. Anyone interested in a short costal Baja trip? Are people looking for boondocking, primitive campgrounds, or developed campgrounds? That's always the first filter when I'm looking to go camping. Not necessarily easy to come to consensus on that for a large group though. I should be good to go. Bolsa Chica could be a spot, especially if we're bringing family where we can have a fire, stay overnight, enjoy the beach and have easy access to bathrooms, stores etc. if we wanna take the easy way but no trails. Someone also mentioned a new campground by Crystal Cove where they moved all the mobile homes out. Either way, remote locations are cool too so we can really get the use of our rigs.